Our friends at Anchor Distilling let us know that April 19th is National Amaretto Day. (Who knew?!) Naturally, we used it as an excuse to collaborate. 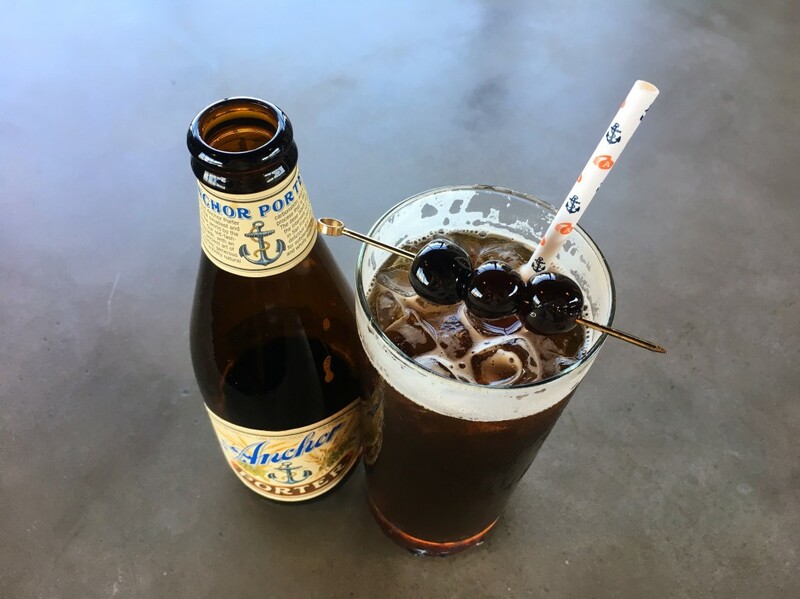 Together we created a delicious beer cocktail called Porter Pop, featuring our beer and spirits from Anchor Distilling’s impressive portfolio. Amaretto, which means “little bitter” in Italian, is an almond flavored Italian liqueur made from mandorla amara, the bitter almond. The spirit has a variety of culinary uses and can be drunk alone, mixed in cocktails, or added to other beverages like coffee and- in this case- beer! The spirits in this cocktail, as well as the garnish, hail from Luxardo, an artisanal, family-owned distilling company based in Padova, Italy that Anchor Distilling imports. 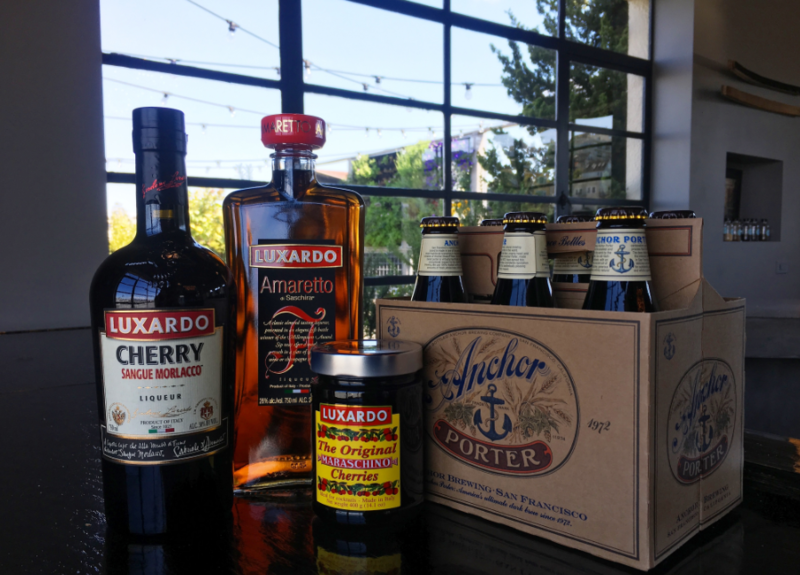 Like Anchor Brewing, Luxardo has been making quality, hand-crafted beverages since the 19th century. Founded in 1821 by the Luxardo family, 6 generations later the company still produces a full range of authentic Italian liqueurs. 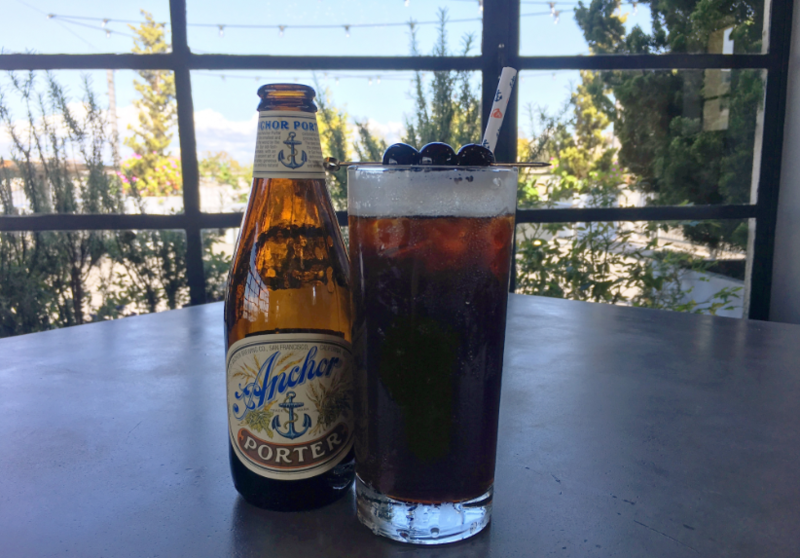 Porter Pop combines Anchor Porter, Luxardo Amaretto, and Luxardo Cherry “Sangue Morlacco” Liqueur are featured. Together they create a delicious, bubbly cocktail reminiscent of a Cherry Coke, but for adults. Enjoy with a Luxardo cherry on top, cheers! Pour Amaretto and Cherry Liqueur into the glass. Gently pour the beer into the glass and stir until blended. To locate our beers nearby, use our handy Beer Finder. Check out Anchor Distilling’s full portfolio here. Did you make this cocktail? Post on social media and tag @AnchorBrewing for a chance to be shared on our channels!